W. Renee Acosta, MS, R.Ph. Home › Speakers › W. Renee Acosta, MS, R.Ph. Renee Acosta received her B.S. in pharmacy from the University of Texas at Austin in 1990. She practiced in a community pharmacy in Austin as both a staff pharmacist and pharmacy manager upon graduation. In 1996, she returned to graduate school to pursue her M.S. degree in pharmacy through the Option II Program at UT. Upon completion of her M.S. degree in 1998, she became the program coordinator and full-time faculty member for the Pharmacy Technician Program at Austin Community College. At ACC, she developed and maintained the Pharmacy Technician Program curriculum, which included traditional classroom and distance learning classes. In 2003, she received the NISOD Excellence Award for ACC. She joined UT as a clinical assistant professor in 2003, where she was an alternate facilitator for pharmacotherapeutics lab and guest lecturer for hospital pharmacy. In June 2005 she joined the pharmacy practice faculty full-time. She coordinates and teaches the over-the-counter medication course sequence in the professional pharmacy degree program: Nonprescription Pharmacotherapeutics and Self-Care I and II (lectures and lab). In addition, she teaches an Undergraduate Studies’ Signature Course title “Self-Care and OTC Products”. She received the Texas Exes Teaching Excellence Award for the College of Pharmacy for 2006-2007. She has been named Professor of the Month by the Senate of College Councils three times, 2008, 2010 and 2014. She received the Regents’ Outstanding Teaching Award in 2012. She joined the Provost Teaching Fellows Program in 2015 where she is working on an initiative to incorporate standardized patients in her nonprescription pharmacotherapeutics lab. She served the college as Assistant Dean of Admissions and Advising from fall 2015 until fall 2017. In this role, she was responsible for coordinating and conducting recruiting, admission and advising activities for the college. Beginning fall 2017, she will be serving the college as Associate Dean for Academic Affairs. In this role, she provides leadership for and coordination of the Pharm.D. program. She is active in local, state and national organizations. She is a member of the American Pharmacists Association, American Society of Health-System Pharmacists, Texas Society of Health-System Pharmacists, Texas Pharmacy Association, Austin Area Society of Health-System Pharmacists, Capital Area Pharmacist Association, American Association of Colleges of Pharmacy and the Phi Delta Chi Fraternity. Her areas of interest include over-the-counter products, sterile product admixture, and the education, training and utilization of pharmacy technicians. She has served as an item writer for the Pharmacy Technician Certification Exam (PTCE), and as a member of the Task Analysis Task Force for the Pharmacy Technician Certification Board (PTCB) and on the Stakeholders’ Policy Council for PTCB . 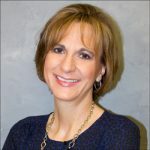 She served a three-year term as a member of the American Society of Health-System Pharmacists’ (ASHP) Commission on Credentialing from 2003-2006, and currently serves as a lead surveyor for ASHP Accreditation Services Division. Disclosure: Renee Acosta has no relevant financial relationship(s), potential or perceived, with commercial or conflicts of interest to disclose.